England have called up Chris Woakes and Ollie Pope to replace Ben Stokes and Dawid Malan respectively for the second Test against India at Lord's. The selectors were always going to be forced into one change for the Test as Stokes was definitely going to miss out because his court case, where he will be tried for affray, begins in Bristol on Monday. 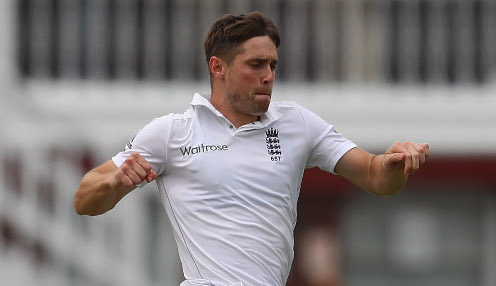 Fit-again Woakes has been drafted in to replace the Durham all-rounder, while Malan has been axed following disappointing scores of eight and 20 in England's 31-run first Test victory at Edgbaston. The selection panel believe that Ollie's performances and character suggest he is well suited to international cricket. It means 20-year-old Pope could win his Test debut following a strong start to the season with County Championship leaders Surrey and in the recent England Lions' victory against India A. "Ollie Pope has made an exceptional start to his first class career," national selector Ed Smith said. "He has reached a 1000 first class runs in just 15 matches and is the first division's stand-out batsman this season with 684 runs at 85. "The selection panel believe that Ollie's performances and character suggest he is well suited to international cricket." Smith added: "Dawid Malan drops out of the squad for Lord's. Dawid has not found his best rhythm this season, and it may be that his game is better suited to overseas conditions. "Ben Stokes is unavailable, but Chris Woakes, with some extra matches and practices under his belt, can now return to the England squad after injury." England are 12/5 to win the second Test and go 2-0 ahead in the five-match series, with Woakes 7/2 to be their top first innings bowler. India are priced at 11/2 to win the second Test and the draw is available at 4/6.